os, hamsters, fish, rabbits, ferrets, cats, dogs). 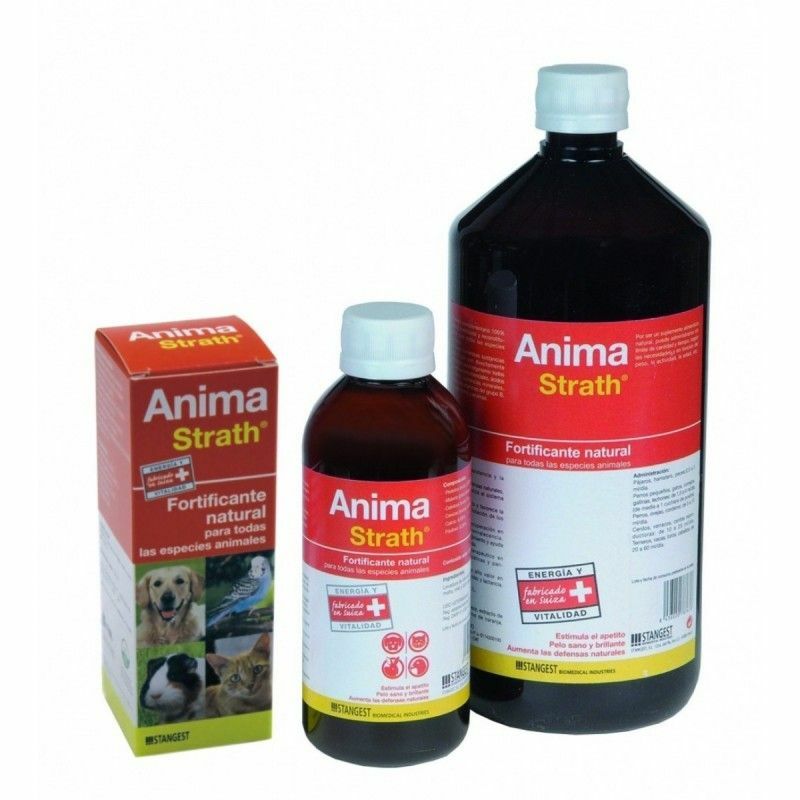 It is a supplement that provides essential nutrients, maintaining the health of the animals in a completely natural way. Manufactured by Laboratories Stangest. 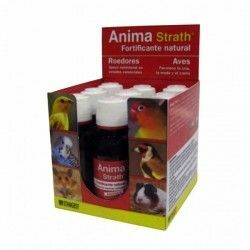 Its complete formula made from brewers yeast and a selection of plants manages to provide essential nutrients, ensuring optimal health for your pet. Yeast contain a significant amount of nutrients released to the environment by a process of plasmolysis, favouring natural substances can be absorbed by the body. 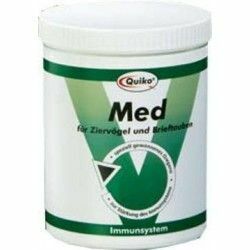 Part of his full composition in proteins, lipids and carbohydrates, this supplement includes essential amino acids, minerals, trace elements, enzymes and vitamins of group B.
Strengthens the natural defenses of the body, stimulating and invigorating the immune system. Improves appetite and promotes digestion and assimilation of food. Favors the recovery in states of convalescence. 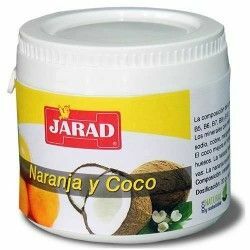 Increases the brightness of the coat and the health of the skin. Increases performance and helps overcome stress. Supplement very nutritious for females pregnant and lactating. Contains no substance artificial, synthetic additives, dyes, or preservatives. Administer the required amount directly into the animal's mouth or mixed with your usual meal or with the drinking water. Birds, hamsters and fish: 0.5 to 1 mL/day. Cats, small dogs, rabbits, chickens and hens: 1.5 to 4 mL/day. Large dogs, sheep, and lambs: 5 to 10 mL/day. 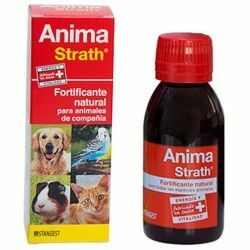 Description: Anima Strath is a nutritional Supplement 100% natural for all species (pájar os, hamsters, fish, rabbits, ferrets, cats, dogs). 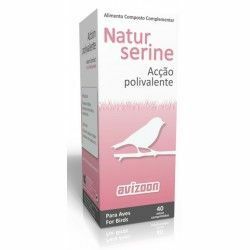 For a quick and balanced growth of the chicks, which is useful in the case of the imbalances of the flora bacteria in the bowel. 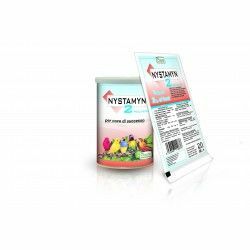 It is easily digestible, has no contraindications, is rapidly effective and safe, contributing with success to combat bacteria and fungi. Extract natural more full. 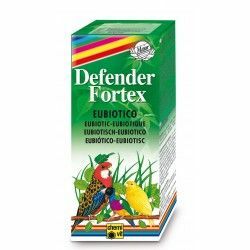 Disinfectant for all kinds of birds and pigeons. Includes 5 active substances against coccidios, salmonella, E. Coli, fungi, worms, and strep throat.